Spring Break memories for families at Escape Hunt Tokyo! Playing an escape game with family is a chance to have a unique experience together. Recently, one of our Game Masters recognized a player who was back at Escape Hunt Tokyo for more fun. This is not unusual because many players who try one of our games are excited to come back for one of our other games. But this time, it seemed that the player was trying the same game as last time. We had to find out why. The player, named Emma, told us that she had played the ZEN room with friends a few weeks earlier. Because we offer an opportunity for speakers of different languages, ages and interests to work together in a fun environment, many students come to play our games with friends and teachers. Emma had a great time and wanted to share the experience with her mom, dad and younger brother. Even though she had already discovered the secrets of the ZEN room, she did not spoil any of the puzzles for the other players. Emma told us that she got to see a different side of her family as they interacted and communicated under unusual circumstances. Turns out, they did not escape! But that was not the point. Emma and the other players had a great time as a family. We here at Escape Hunt Tokyo were inspired by Emma and her family to extend a special limited-time offer to families from international schools to come play an exciting escape game. "Spring Break Memories Family Campaign!" Make a reservation by calling 03-6231-6621 and telling us the school in which your student is enrolled. Make Spring Break memories with your family at Escape Hunt Tokyo! Escape Hunt Tokyo in historic Asakusa is a real-life escape game experience! Players solve mysteries by using observation, critical thinking and intuition. Work together, decode puzzles and escape before time runs out! The time limit is 60 minutes. 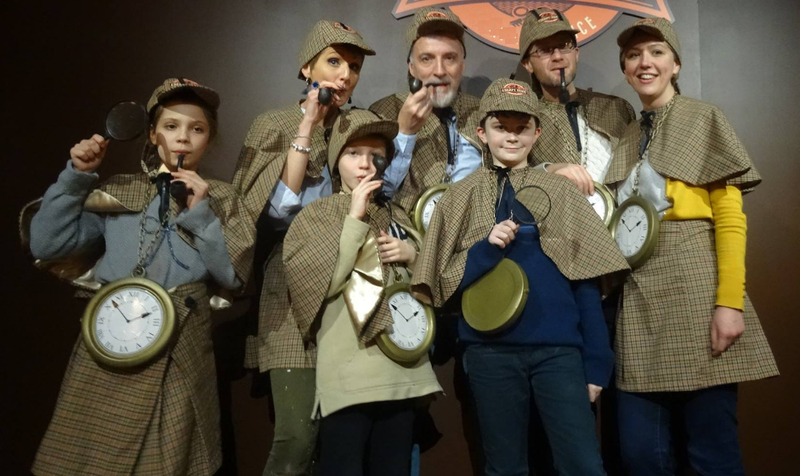 Look for clues to solve the mysteries before time runs out! Each of the 3 games at Escape Hunt Tokyo offers a unique story to explore as a team with other players. You will discover previously unknown skills both in other players and yourself. Discover, share and explore a unique environment that is fun for kids and adults. Think you and your family have what it takes to escape? Give it a try and play RIGHT NOW!